A cavity can be a pain – literally! Make sure you practice proper oral hygiene and have regular dental check-ups to avoid cavities. It’s news we never like to hear during a dental visit: “You have a cavity.” But while we always want to do everything we can to prevent cavities, there’s a lot we can do to restore your teeth today if one develops, and that goes well beyond the metal fillings of yesteryear. The simplest explanation is that a cavity is a hole that develops in a tooth, opening it up to further damage and decay. But to understand cavities, it’s helpful to know how and why they develop. We talk a lot about brushing and flossing to get rid of bacteria in your mouth, and it’s because that bacteria, when allowed to stay and multiply, can cause significant damage to your teeth and your gums. Bacteria can irritate and inflame gums, potentially leading to periodontal disease, and the acids produced by those bacteria can damage the enamel on your teeth as well, slowly wearing their way to a cavity. Once a cavity develops, it can’t heal on its own, and if it isn’t treated it will continue to worsen. That can lead to nerve damage, and the need for a root canal. If West Meade Dental finds a cavity during a checkup, we’ll recommend immediate treatment to halt the damage. 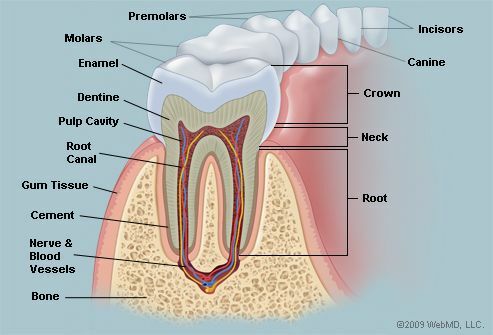 Depending on how significant your tooth decay is, that can range from a filling to a porcelain crown. In most cases, if you’re keeping up with regular dental visits, we’ll be able to catch a cavity before more involved treatment is necessary, and we’ll recommend a filling that repairs the tooth aesthetically and functionally. At West Meade Dental, we use tooth-colored fillings that restore your bite and protect the tooth’s nerves from further damage, but also look and feel just like the rest of your teeth. It’s a big difference from the highly noticeable gold alloy we were stuck with in decades past. If you do develop a cavity, West Meade Dental can help — but preventing a cavity in the first place is always our first hope. That’s why we recommend diligent oral care at home and regular visits to our office for cleanings and checkups (the frequency of recommended visits depends on your individual oral health, but in most cases, it’s every six months). In between cleanings and checkups, you can do a lot to prevent cavities. Eating a balanced diet is important, as is following good oral health practices between meals. Rinsing with water after eating and drinking — particularly if you’ve having acidic or sugary food and drink — is always a good practice. And your daily tooth care routine should include flossing once a day, and brushing twice, using a soft-bristled brush and ADA-approved toothpaste. To take a step further toward prevention, West Meade Dental can apply a dental sealant to coat your molars, which acts as a long-term barrier to keep bacteria from lodging and multiplying between your teeth and leading to tooth decay. Do you have any questions about cavities or general oral health? We’re always glad to help our patients. Just give West Meade Dental a call!